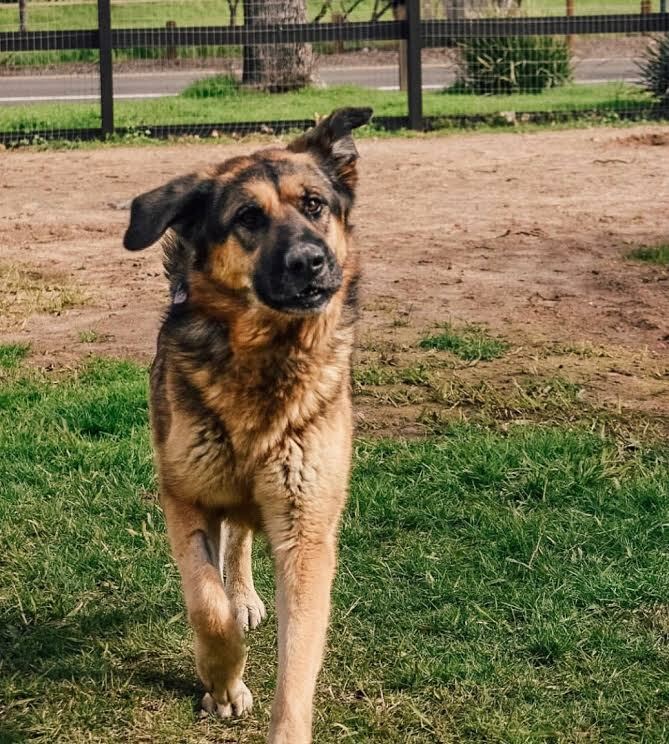 Sweet, happy, playful, and a loyal, gentle giant. 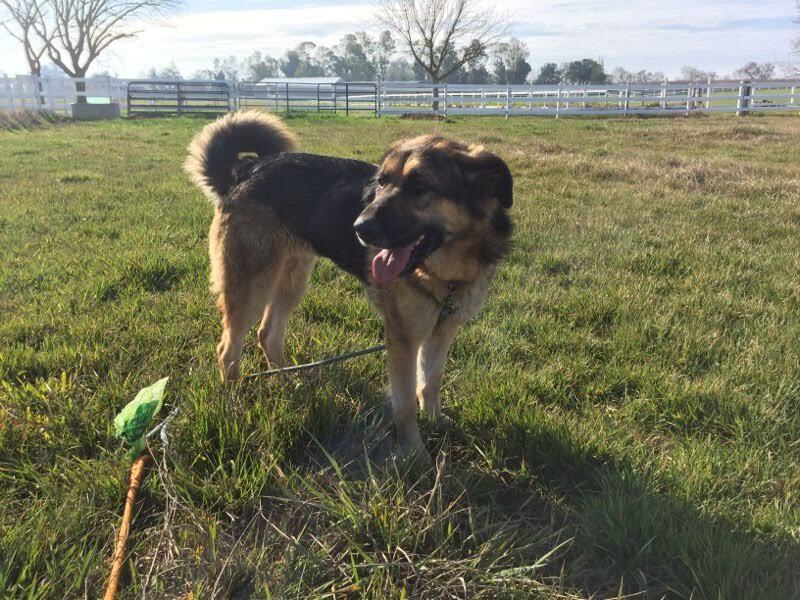 5 yr Anatolian Shepherd mix rescued from Contra Costa Animal Services where she landed as a stray and spent over 2 months waiting in a cage. Roxy is perfect on leash, house-trained, well-behaved in the home (find being left alone and doesn't destroy things). Roxy would love a person or couple to call her own. She is very loyal to her people, and will follow you room to room. But she doesn't jump on furniture and prefers sleeping through the night on the floor by your bed. Roxy can be aloof to strangers which has made it hard to impress potential adopters. But she will bond to her new people and be a wonderful companion animal to the right home. 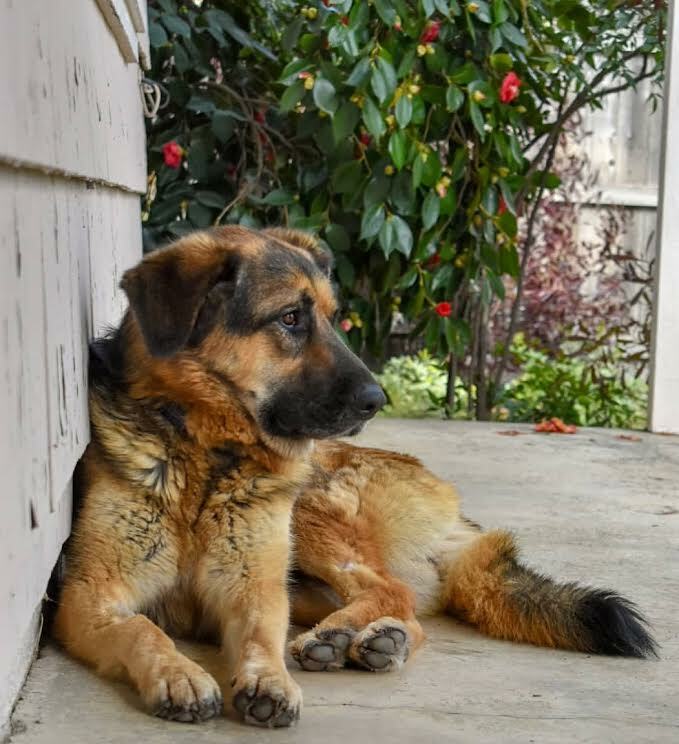 Roxy currently lives in with a dog in foster in the Sacramento Area. 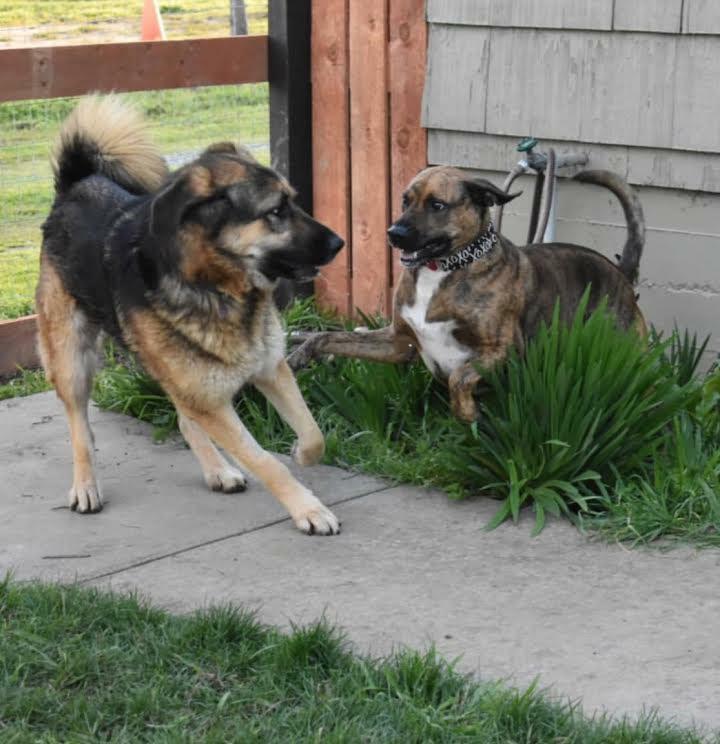 She has done great living with the dogs at the rescue ranch, but can be selective, so slow intros like leash walks are best; once she knows the dog she loves playing and plays very appropriately! Roxy is also Fantastic off-leash and on an open-property. She could thrive in the country life, or a quiet suburban setting. Roxy knows how to run next to you on a bike, and ready to go on hikes whenever you are! Big-Dog lovers only! May do fine with cats given proper intros. $250 adoption donation: 5 years, 85 lbs, spayed, vaccinated, vetted, microchipped, recently got a dental cleaning, and ready to go to her knew home!